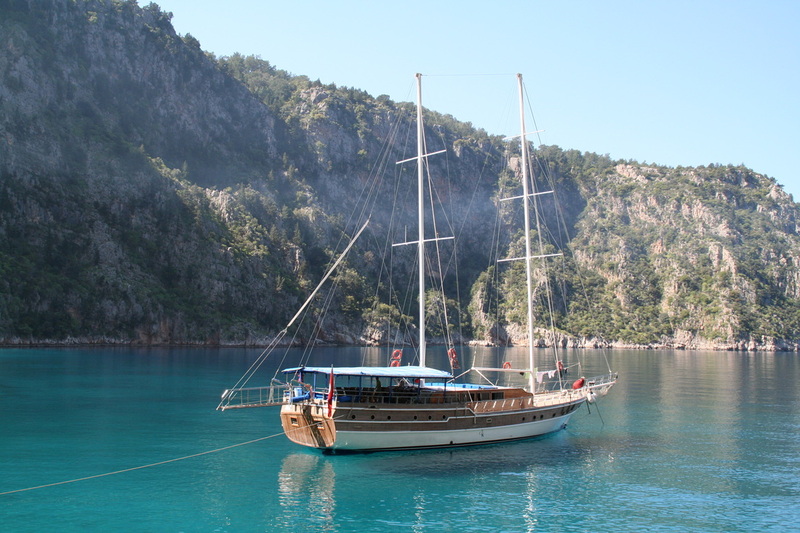 Yoga Cruise Turkey offers specialized Yoga Blue Cruises from April to November. On our exclusive cruise, guests will sail along Turkey’s pristine coastline while participating in morning and afternoon yoga sessions held by an ﻿experienced instructor﻿. Stopping at key sights such as Kekova and Gocek islands, there will be plenty of free-time to relax, meditate, snorkel and explore the islands. Suitable for beginners to advanced yogis, it is the perfect getaway for individuals, special events, corporate groups and yoga groups. On this perfect getaway experience tranquillity, equilibrium and sodality as only yogis know how. Early bookers (3 months before the cruise) will get a price reduction of 10%. Our Turkish guests will get a price reduction of 15%. ​all taxes and harbor fees. ​"The Yoga Cruise really is a special experience, far away from the touristic places, Ali and his crew made us feel most welcome and let us experience the beauty of the 'real' Turkey. The boat is spacious and very well equipped with lots if mattresses to relax and of course a grand space available for Yoga classes which were teached twice a day. I can only recommend as the classes have been suitable for all levels of Yoga knowledge and very carefully set up by an experienced teacher. The atmosphere was really familliar and perfect as a short escape. Thanks a lot for these beautiful days!" ​"This yoga cruise was one of the most amazing experience of my life. I felt so relaxed afterwards. The people on the boat, Ali and his crew and yoga teacher Kate were perfect in all sense. We did yoga every morning and evening and usually a hike during the day headed up my Ahmet who knew the trails like the back of his hand. The food was really good and most guests slept on the deck outside under the stars at night. Would recommend it for everyone." The Seaborn Legend is 27 meters long Gullet with 6-8 double or single cabins with attached bathrooms. Having an experienced crew attending to all your needs, you will share the boat with just a few other couples or single travelers. For further information about the cruise charter company, the cruise and more photos please visit the partner website.